Utah has many different sports leagues. They are always a fun family event. For a complete listing of Utah sports teams, including college games, Click Here. 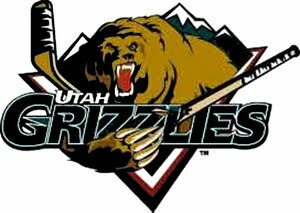 The Utah Grizzlies, an ECHL team, has played here since the 1995-96 season. They are affiliated with the NHL New York Islanders. Their previous Grizzhome was Denver, Colorado; they moved here when the NHL granted Denver an expansion team. See our post about Family Fun With The Utah Grizzlies. The team mascot, Grizzbee, offers non-stop entertainment during the games for kids of all ages! Utah Jazz - BasketballThe Utah Jazz is on a roll, playing some of the most exciting basketball in the NBA. Young, hungry and deep, the team includes rising stars Carlos Boozer, Deron Williams, Mehmet Okur and Andrei Kirilenko. Head coach Jerry Sloan has one of the best records in the NBA and he is building a team for the future - the Jazz are serious contenders in the NBA Western Conference. The Jazz has a winning tradition, built by some of best players ever, including the now-retired hall-of-fame duo of point guard John Stockton and power forward Karl Malone. Utah fans are noisy. They get into the game and make each contest a memorable event. See the team's website for game schedules and other information. The team mascot, The Jazz Bear, is known for his daring acrobats, and always keeps the crowd entertained. We congratulate Real Salt Lake for winning the 2009 MLS Cup Championship!! The league selected Salt Lake City for several reasons, including Checketts experience and Utah's unique demographics. The league found that Utah has a significant soccer fan base already in place and has the nation's highest per-capita participation in organized soccer (estimated at more than 200,000 players). Key Real Salt Lake players include Jason Kreis, the all-time leading scorer in league history. For a schedule and more information visit realsaltlake.com. The Salt Lake Bees, the AAA affiliate of the Anaheim Angels, play baseball in the Pacific Coast League. Their Salt Lake City games are held April to mid-September at Franklin Covey Field, which has the majestic Wasatch Mountains as its eastern backdrop. With a panoramic view of the Wasatch Range, there is no better way to spend a summer evening than with the Bees at Franklin Covey Field. See the Bees website for a schedule and more information. The team mascot, Bumble, makes public appearances during both the Bees season and offseason. Bumble is available for corporate events, charity functions, birthdays or other private parties. The Utah Blaze are back and are playing in the Arena Football One league. The E Center is their home. The teach is coached by Ernesto Purnsley and is owned by Dave Affleck. Under different ownership, the team played three seasons in the Arena Football League (AFL) before the league ceased operations in December 2008. Now the team, under new ownership, is back as a member of the newly formed Arena Football One.